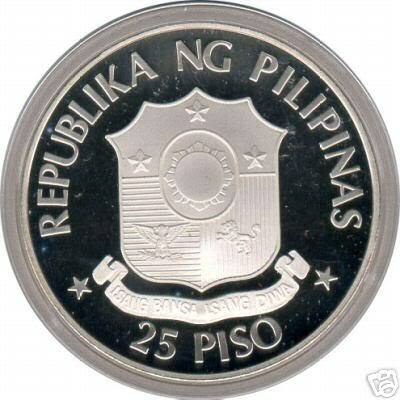 ANACS is lousy in terms of grading Philippine coins. Most of their graders are inconsistent and overgraded a lot of USPI coins. 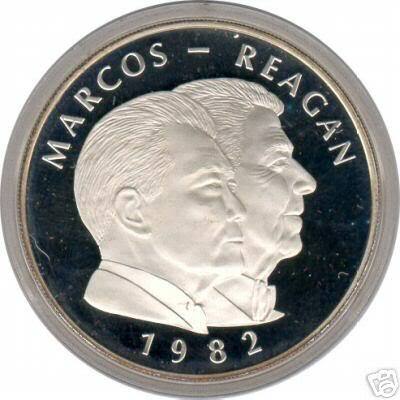 Sometimes they slabbed the coin's reverse side in the front. Next month you submit the coin to them again and they will returned it to you in a correct side. I strongly suggest you resubmit the coin to PCGS or NGC. Should this be an MS63 instead of PF63? I think this is in proof appearance because of its glossy and mirror like reflection. Uncirculated pieces have the frosty and satiny fields and usually have a cartwheel luster effect. This is what a proof look like. The one you show is a frosted proof type. Franklin mint issued 3 types of finish during that time. Uncirculated, matte proof and frosted proof. The one you had is a matte proof. Similar to a prooflike surface. How do you distinguished one from another? How come Krause only listed 2 types which is UNC and Proof? NGC and PCGS only grade these pieces as either PF or MS. If there were 3 types minted, what are number of mintage? Krause catalog are not always complete. Some data are missing. Uncirculated pieces should have a cartwheel luster and frosty white surfaces unlike this piece which is semi glossy and partial mirror like surface which is a characteristic of a prooflike coins. If this was certified by ANACS as error, you can contact them and show the difference. They will then regrade them for free. That's how they guarantee if its really their fault. That's how inconsistent they are. The difference is so glaring. Even if you havent seen an 82 proof before, as long as you know what a proof looks like you should be able to tell the difference. I cant believe ANACS made such an elementary mistake..twice! If it is frosted cameo (as portrayed within this thread) it is the Proof. If it is smooth and shiny all over (no cameo or frosting effect) then it is the uncirculated version. This coin was not struck at the Franklin Mint (hence it's non-inclusion in the Franklin Mint Proof set for 1982) and only exists in Proof and Uncirculated. The Proof is quite rare as there were only 250 struck; the uncirculated version is common as muck.